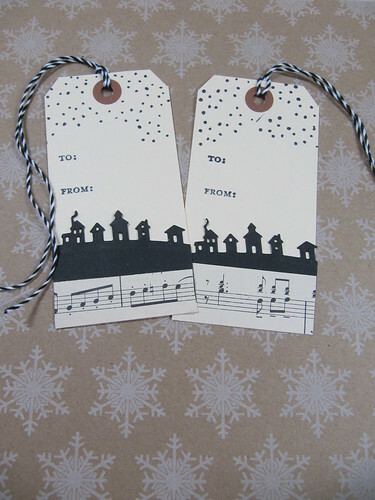 Today I want to share the second set of Christmas tags I made this weekend. This time I played with some manila tags I had at home and a few stamp and die sets. I focused on using just black. 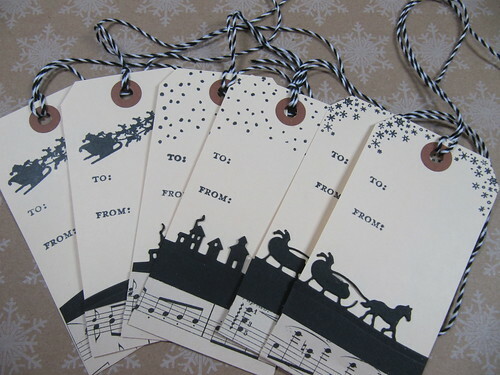 I think black can add a classic touch to Christmas cards and tags. I finished off a set of these to go into my Etsy store too. I created three different styles but each has only black accents and stamping. I also added a little bit of vintage sheet music I had left over from another project. Here I used the sleigh and horse with some snowflakes at the top. The sleepy little houses on a hill are finished with snow. I love the detail of the smoke from the chimney on one of the houses. 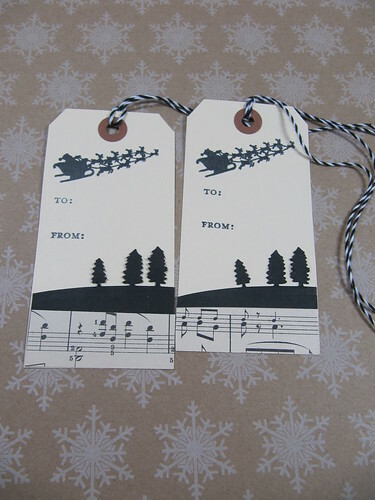 I thought the sleigh ride tag would be my favorite until I made this one with the tree and Santa flying across the top. It is definitely my favorite! 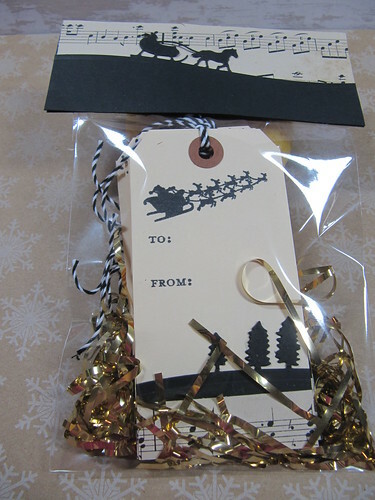 I packaged a couple sets of these tags up and put them in my Etsy store. 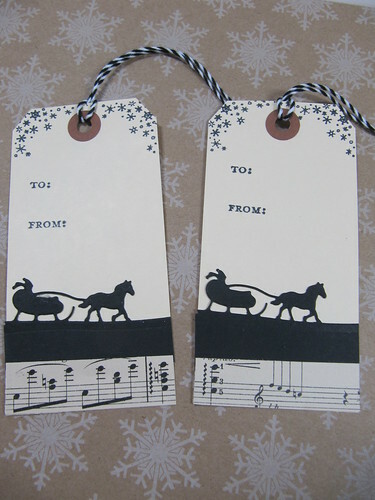 The bag topper has another of the sleigh ride and the last of my sheet music. I think I will put these with black or kraft gift bags this year.